Focus in on the frequencies you want to move using the intuitive solo controls and then tweak, fix or align them in the stereo panorama without affecting any other regions - simple, quick and effective. 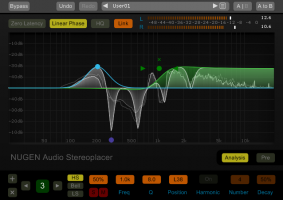 Stereoplacer gives you precise control you just can't get within a traditional mix setup. • Mix confidently with high mono compatibility. Finely tune each band into specific frequencies and move the frequency content around in the stereo sound stage. 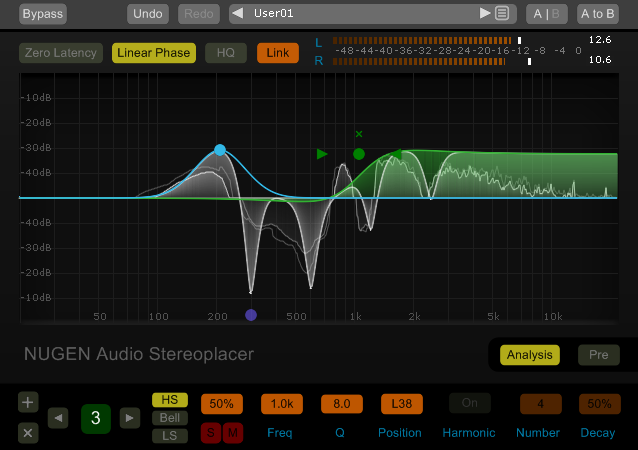 Just choose the position you want, and let Stereoplacer take care of preserving the balance of the original sounds. "[Stereoplacer] precisely mapped the designated frequencies to the desired spatial locations. In every case, the effect was free of sonic impurities or phase-related artifacts"